This olive drab B17F is believed to have been the replacement for Memphis Belle, after that Fortress was sent back to the States on a War Bond Drive having starred in the famous wartime movie. 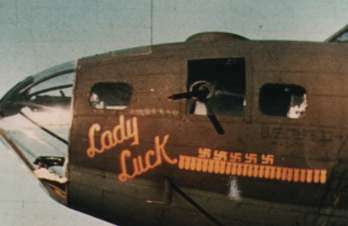 Lady Luck served with the 91BG for eleven months before being transferred to Air Force Service Command (AFSC) as part of a reorganisation plan. The plane flew its first combat mission on 28th June1943 to St Nazaire (flak city) with Capt Richard Weitzenfeld in command. Lt Fred Peterman's crew were assigned to the ship and completed twelve missions in it, including group leads. On 32rd September 1943, the squadron record notes: "Lt Vickery (bombardier) did a remarkably fine job of bombing." 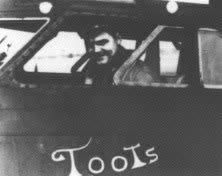 In addition to its yellow scripted titling on both sides of the nose, Peterman had the nickname of his wife "Toots" painted below the cockpit window on the left side. Four swastikas were also added above the lengthening row of mission bombs to denote the fighter claims by various gunners on his and other crews. 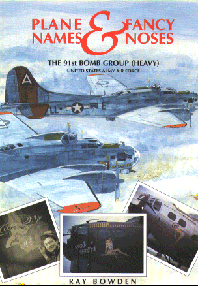 Lady Luck's finest hour probably came during the punishing mission to Schweinfurt on 17th August 1943. 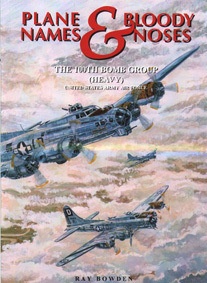 1Lt Parker's crew were accompanied that day by the Air Division Commander, Brigadier General Williams, and led the 2nd task Force's Composite group. 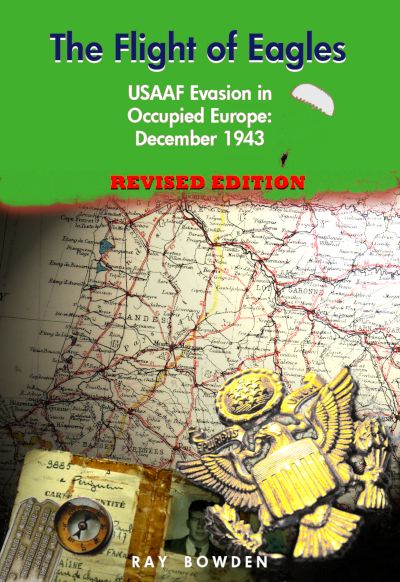 This costly mission was an attempt to destroy the ball-bearing production facilities that were described in the briefing as "probably the most vital air targets in all Germany ... their destruction would strike a greater blow at the German military machine as a whole than could be achieved in any other single air operation." 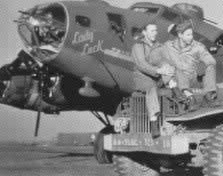 Lady Luck returned from Schweinfurt with flak damage but was back in the air again by the end of the month. The flak defences over Germany caught the plane on at least eight later raids causing Cat A damage over Nantes, Frankfurt, Anklam, Oschersleben, Cognac and other tough targets. Fighter's also peppered the ship on several other occasions and by the end of February it was a a veteran of some 32 successful missions. 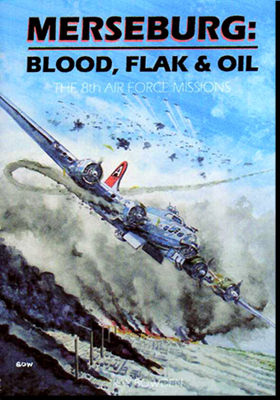 When the 8AF reorganised in the Spring of 1944, the lack of long-range 'tokyo' tanks in Lady Luck meant it was no longer able to complete the raids which were now stretching deeper and deeper into the German heartland. It was withdrawn from combat and assigned to AFSC. It is believed to have flown to the Mediterranean and was possibly based there for a short while. However, it was still listed on 91BG's inventory on 6th April 1944 as "On detached service here from AFSC" presumably used by the 91BG as a group 'hack' for ferrying, transport and other non-combat assignments. In mid-June 1944, Lady Luck returned to the USA, landing at Tinker AAB. In February 1945, it was recorded at Patterson AAB and on 27th July 1945 was sent to Searcy Field for scrapping. It was still listed as part of the inventory at Searcy Field (now Stillwater) in February 1946.